I can’t pinpoint exactly why I’m always obsessing over For Love and Lemons. Maybe it’s because they make high quality pieces that are unique, or maybe it’s because their lingerie is BOMB. Either way, the obsession is real and I’m ready to turn over every paycheck to them; I mean seriously look at this top. For Love and Lemons was started in 2011 by two best friends, Laura Hall and Gillian Rose Kern. They are now based in Los Angeles, and are constantly creating looks for the girl who doesn’t follow trends. I love that you can tell how much time and love they put into every article they design. Although the prices are high, the quality and the uniqueness is exceptional. I’m constantly on the lookout for statement pieces, and they are one of my go-to places for them. I love a top that you can throw on with little effort and still look put together. Seriously, my goal is to get ready in 5 minutes (i’m lazy, okay) and FL&L gives me that chance to do that. I also love how they do not mass produce. I’ve really been trying to implement pieces into my closet that are from brands that focus on customizing their pieces to their customers. Don’t get me wrong, I love my mass produced clothes, but there’s something special and personal about companies that truly dedicate themselves to their designs. 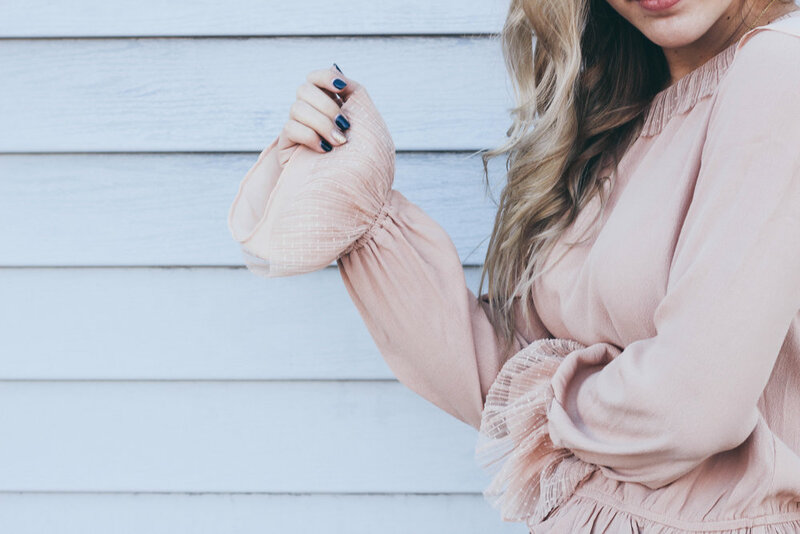 I’ve rounded up some of my favorite pieces by FL&L and shared a few different places that you can snag them from. For Love and Lemons also offers a 15% discount to students through UniDays, a platform for college students. And if you’re not in college, you can sign up for their email list and receive 10% off. If you want to find more deals, you can subscribe to my email list (let’s be friends for real) which will give you full access to my list of discounts for some amazing companies! Want to discover more brands? You can find more Brand Spotlight posts, here! I love your top! Never heard of this brand before but their clothes are really cute! I have never made a purchase from For Love and Lemons before but I have been admiring their pieces for a long time! They always have unique and beautiful clothing and lingerie pieces! Hey Tracy! It took me a long time to take the plunge but once I did I was hooked! I only buy a few pieces here and there but I am always so happy with my purchases! I was JUST looking online at For Love & Lemons! Love this top so much! The back detail is adorable. Hey Megan! I swear I’m on their website at least once a week haha! Thank you so much! whoa 15% off for students… why didn’t i know about this until now!? and of course, i graduate this may haha. anyway, i love how you styled this look! i’d love to see more brand spotlights. I’m so glad you know it! It’s a brand I’ve followed for years, and a total go-to! I totally didn’t think about Valentines Day but it’d be a perfect time to snag something! I follow for For Love & Lemons on insta but have yet to make a purchase. That gingham two piece is giving me all the summer feels! Hey Corretta! Isn’t it so cute? I’ve seen the crop top on sale for around $50 on Revolve! All of these photos are gorgeous! I’m in love with that top. I don’t know why, but I thought For Love and Lemons was only a lingerie brand.. oops. Definitely going to check their site out. Hi Lisette! Thank you so much! I think a lot of people make that mistake, I know I did at first, they are definitely known for their lingerie! Their stuff is super cute. And I LOVE your nails! Hey friends this is a very awesome article with plenty of information.